Mash the boiled potatoes nicely. Add chilly paste, coriander leaves, salt and lemon mix it well and shape it like a ball and keep aside. Now, in besan add soda, salt, oil and water to make a fine paste. 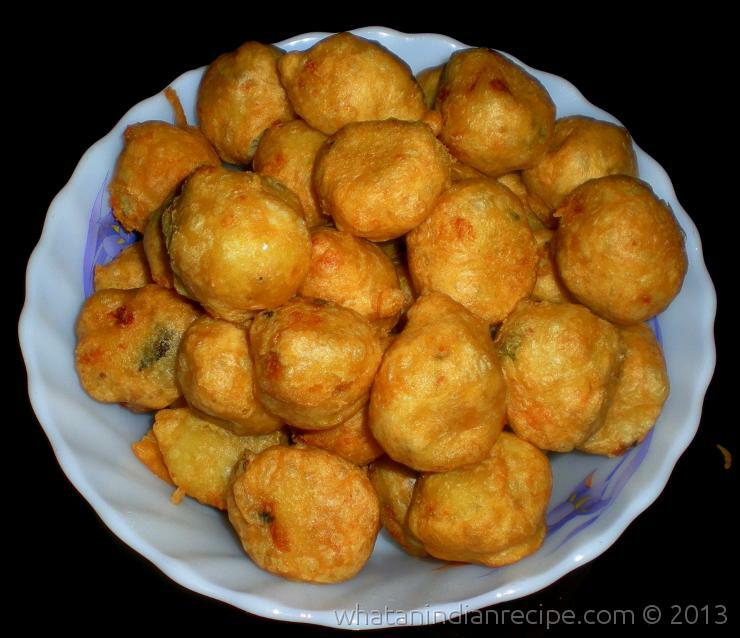 Dip these potato balls in this paste and deep fry in oil till its colour changes into golden brown. Serve hot with tomato ketchup or pudina dhaniya chutney.